The standard size hair straightener from GHD. The GHD MK4 straightener is feature packed and comes from one of the most knowledgeable companies when it comes to hair straighteners. With a turnover of £115 million in 2007 and sales looking to be even higher in 2008 you can be sure that GHD know a thing or two about hair straightening. 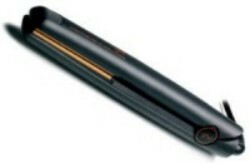 The GHD MK4 has been voted for a Cosmopolitan Beauty Award for 2008. This prestigious award comes from one of the biggest and most established names. Products are nominated for by its readers who buy and used them so the results are relevent. GHD hair straighteners should only be purchased from an officially approved stockist. You can then register your new GHD MK4 hair straighteners online and extend the standard 12 months guarantee to a full two years giving you even greater reassurance. Check availability and compare prices of the GHD MK4 hair straightener below.